In Rhode Island, you will need to obtain the required paperwork from the seller in order to register and title your newly purchased car. 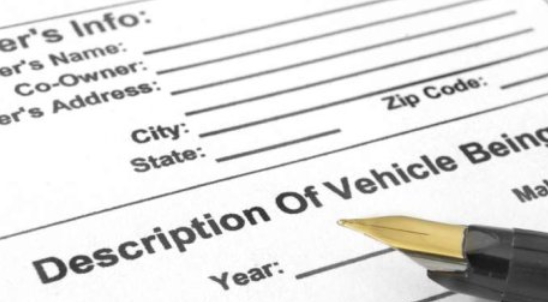 The documents that you need include the vehicle title and bill of sale. You then need to take these papers with the Rhode Island Division of Motor Vehicles (DMV). If you buy a car from a private seller, you will need to handle the required paperwork yourself. If you buy it from a dealer, they are likely to handle paperwork on your behalf. Continue reading this article to get more information about the paperwork required when buying a car in Rhode Island. VIN inspection certificate if the vehicle was purchased out-of-state. When you buy a car from dealers, they will normally handle paperwork required for vehicle registration and titling on your behalf. If you choose a private seller, you will be responsible for paperwork handling at your local Rhodes Island DMV office. You will need to submit applicable documents, forms and fees. Your Rhodes Island driver’s license or Identity Card. Your license plates (registration transfer). Form TR-1 (Application for Registration and Title Certificate). Form TR-2/TR-9 (Application for Title). Sales tax forms: Form T-334-2 (Use Tax Return) for a private sale OR A Dealer Sales Tax form, if you buy the car from a dealership. Registration fees (vary on vehicle weight and date). Sales tax (based on vehicle value). Up to 20 days from purchase date (vehicles purchased from Rhode Island dealer). Up to 72 hours (vehicles purchased from a dealer outside of Rhodes Island). 48 hours (vehicles purchased from private seller). Your current Rhodes Island driver’s license. Your newly purchased car must pass a safety and emissions inspection before registering it. You must therefore take your vehicle for inspection within 5 days of registering it. This report can protect you from becoming a victim of car frauds. Rhode Island lemon law covers lemon law vehicles. You must have taken the vehicle back to the manufacturer for repair several times without success in order to qualify for coverage under this law. If your vehicle is within the dealer warranty period, you also qualify for coverage under this law. Rhodes Island lemon law only covers used cars which are bought from RI dealers.